(Rob Grabowski-USA TODAY Sports)If there were any doubts that Washington Capitals forward Alexander Ovechkin’s Hart-winning year in a strike-shortened season was a fluke in an otherwise declining career, the Great Eight’s start to the 2013-14 campaign should quickly put those thoughts to bed. 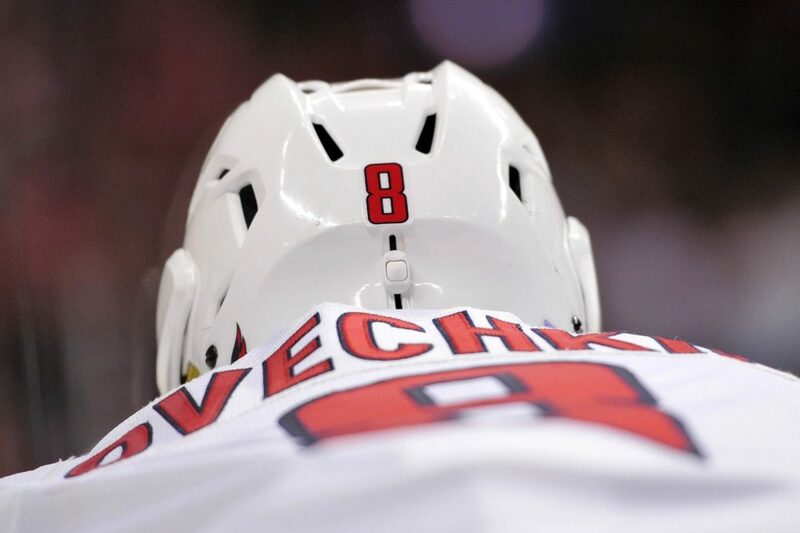 Ovechkin has scored four goals through three games, added two assists and fired 24 shots on goal. That is eight shots per game and on pace for 656 shots on goal and 109 goals scored. Of course, it is highly unlikely Ovechkin can continue this pace the entire season. Playing for a Gold Medal with Team Russia at the Sochi Winter Olympics in his home country will take a significant mental and physical toll on Ovechkin that could detract from his overall regular season numbers in the NHL. But if he stays healthy and sticks to the newfound discipline and confidence in himself that second-year head coach Adam Oates has helped instill, there is no reason he can’t win another Hart Trophy and come close to the numbers he posted in the 2007-2008 campaign, his third season in the league and the best of his career with 65 goals and 47 assists for 112 points. The Olympics are very important to Ovechkin as many attribute his post-Vancouver slump to the confidence he lost after a disappointing early exit for Team Russia. That’s why if Russia can win a Gold Medal in the Motherland it will mark the pinnacle of Ovechkin’s career and he will be even more motivated to follow it up with a hard Stanley Cup push with the Caps. The Great Eight already flew to Greece where became the first Russian to carry the Olympic Torch on its journey to Sochi. Upon his return he began lighting up red lamps on a nightly basis in NHL arenas across North America. Expect that trend to continue. Ovie is back.